Cultural diplomacy was in the spotlight this summer as Turkish, American, and Armenian dancers performed a collaborative dance piece at the Brooklyn Academy of Music as part of an ongoing cultural exchange sponsored by the Department of State’s DanceMotion USA program. The joint choreography of David Dorfman Dance, Turkey’s Korhan Basaran Company from Istanbul, and two Armenian dancers created a powerful performance in DanceMotion USA’s debut of “Unsettled.” David Dorfman Dance first established a choreographic rapport with the visiting dancers during a four-week-long educational exchange and performance tour of Turkey, Armenia, and Tajikistan in April and May 2014. 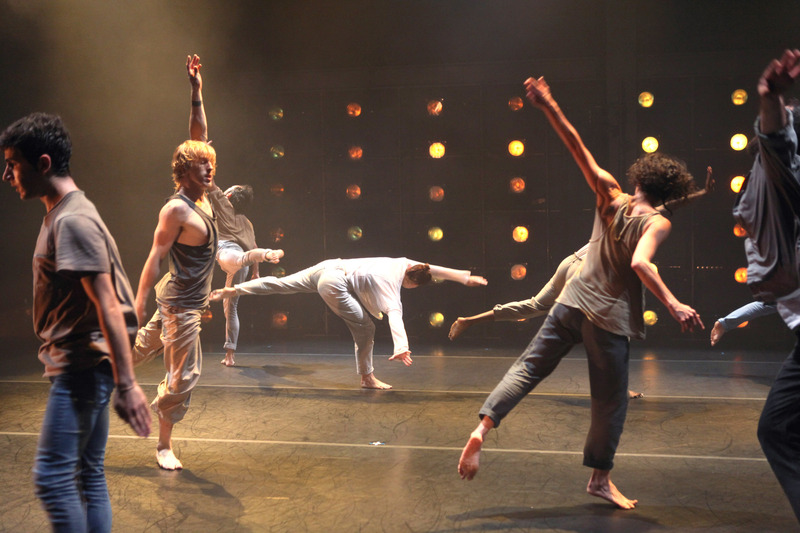 This is the third year DanceMotion USA hosted a creative residency in the United States with both an American dance company and the dancers they met on tour. The U.S. residency provided an opportunity to further expand the initial cultural exchange sparked abroad. The process of creating a choreographed dance between three countries was a tangible expression of collaboration, cooperation, and compromise. The program began at the prestigious Bates College annual dance festival in southern Maine and continued on to the Brooklyn Academy of Music in New York where the dancers gave public performances, presented dance master classes to local urban youth, and gave demonstrations at the Turkish Cultural Center in Sunnyside Queens, New York. 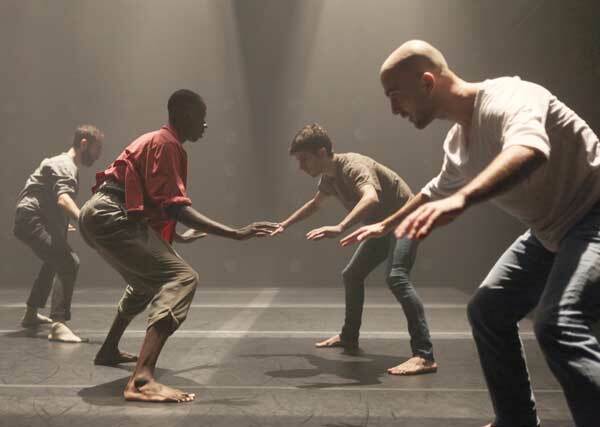 In addition to bridging ethnic and cultural divides, the DanceMotion USA performance challenged the traditional concept of audience members, inviting viewers from around the globe to join in a real-time performance of “Unsettled” through a live stream. Dancers and community members from Armenia and Turkey reconnected virtually with the dancers they met during David Dorfman’s DanceMotion USA tour through watch parties at cultural institutions and with U.S. embassies in Yerevan and Istanbul. One of DanceMotion USA’s American dancers, Christina Robson, summed up her experience in the program, “This project is life changing. Sharing the space with these artists over the last month has offered new perspectives that have both challenged and inspired me in a way that has ultimately transformed my person. I've met friends and collaborators for life.” The dancers’ ability to overcome the inherent challenges of merging distinct dance styles and choreographic expertise is a testament to the significant cultural exchange produced through the collaborative process. DanceMotion USA continues this fall with an upcoming tour of the Brooklyn-based Mark Morris Dance Group throughout Asia. For more information on DanceMotion USA and the Department of State’s cultural diplomacy efforts, visit http://dancemotionusa.org and follow @dancemotionUSA on Twitter and DanceMotionUSA on Facebook.